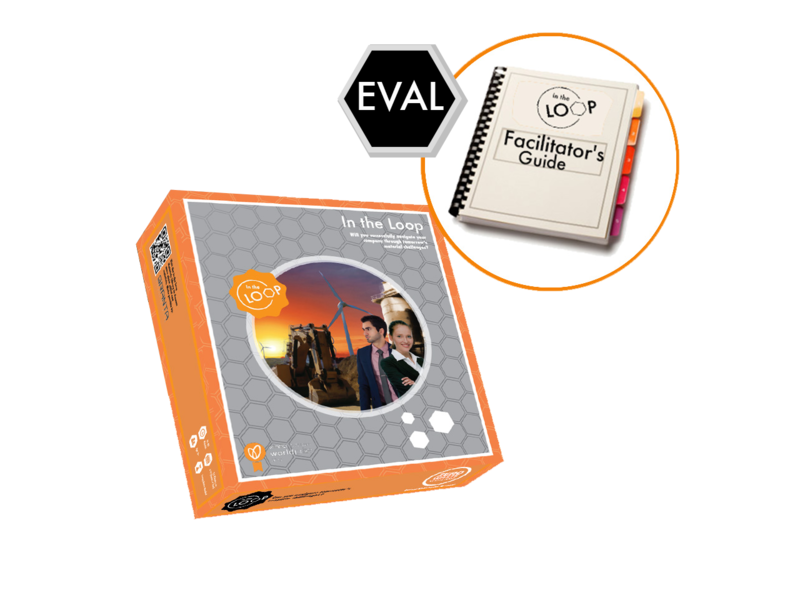 Want to evaluate whether In the Loop ® is the game for you? The Evaluation Package allows you to try before you commit to the Professional or Educational Package. >>One Copy of the IN THE LOOP ® game to try out! What happens after I try it? If you’re happy with In the Loop ®, we'll credit your payment towards upgrading to the Professional or Educational Package (whichever applies to you). *Must contact In the Loop Games within 30 days of delivery in order to request full refund; shipping costs not refundable.